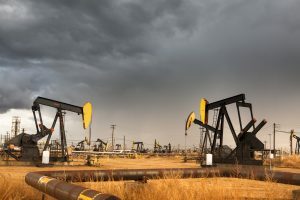 A new analysis of satellite data reveals natural gas waste and pollution in the Texas Permian Basin is two times higher than what industry reports to the Texas Railroad Commission (RRC). In 2017 alone, Permian oil and gas operators burned enough gas to serve all the heating and cooking needs of the state’s seven largest cities. That’s roughly $322 million dollars of natural gas that went up in smoke. 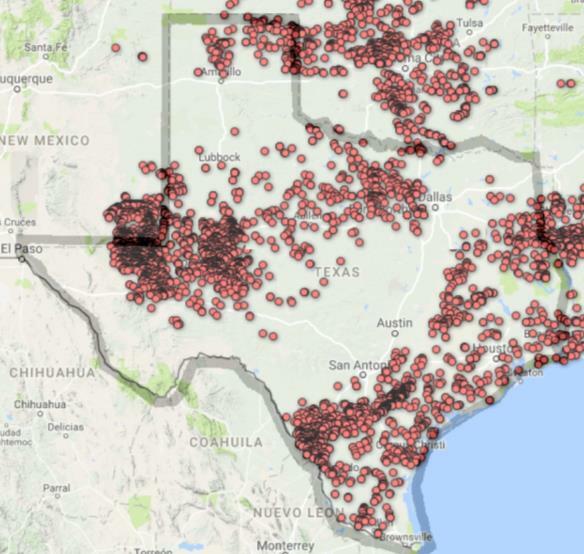 Using National Oceanic and Atmospheric (NOAA) Earth Observation Group satellite data, Environmental Defense Fund (EDF) analyzed flaring rates and volumes in the Permian for 2017. The results are eye-opening. 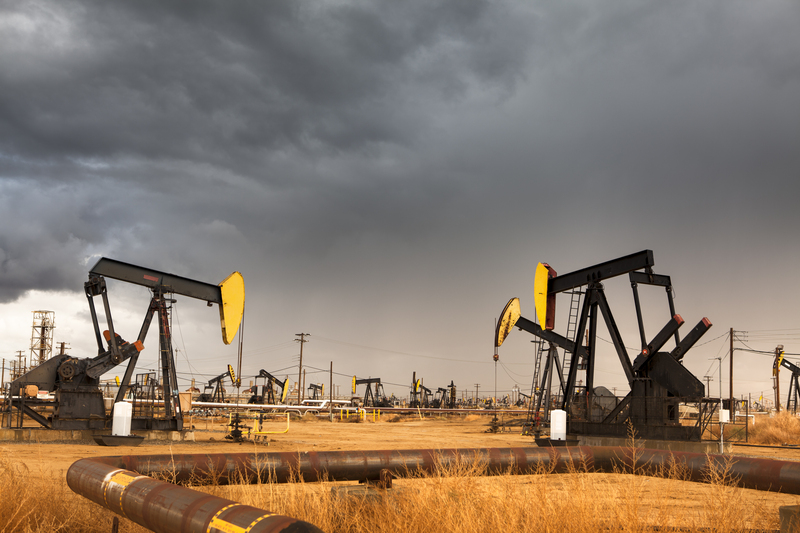 The satellite data indicates Permian operators burned 104 billion cubic feet of natural gas—4.4 percent of all gas produced. However, industry only reported 55 billion cubic feet of gas burned to the RRC in that same year. It gets worse. 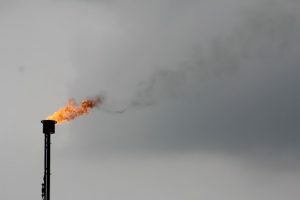 In the Delaware Basin portion of the Permian, which accounts for about half of all gas produced in the basin, satellite data shows operators burning almost eight percent of their gas. That means some individual operators are wasting even more. 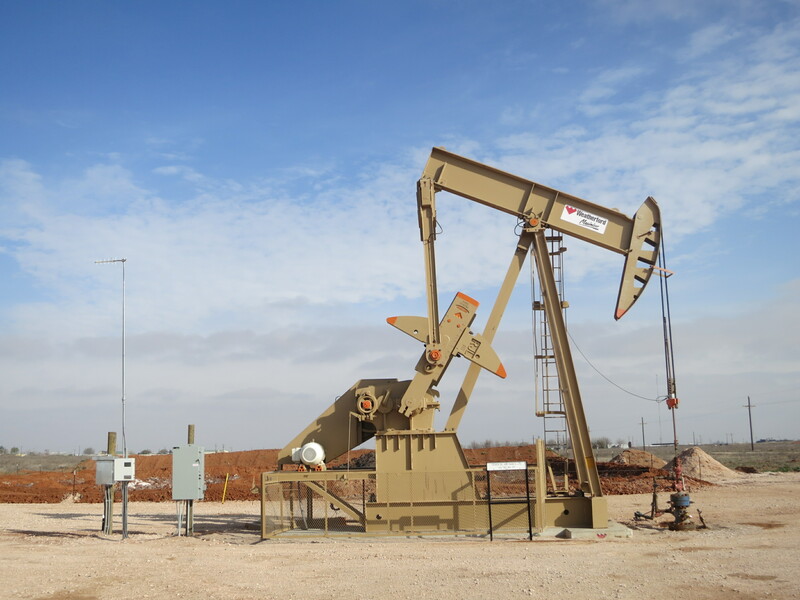 The West Texas Permian oilfield is poised for rapid development in the next decade; the Energy Information Administration projects oil production in the Permian could grow 60 percent by the year 2030. 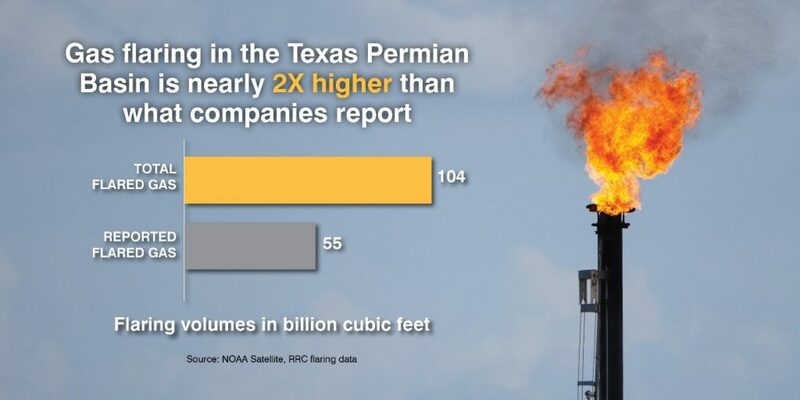 But oil wells in Texas’ Permian Basin don’t just pump oil, they also produce large amounts of natural gas – which many companies aren’t equipped to handle. That is posing a problem for Texas, as producers run out of capacity to move associated gas to market. Without reasonable action from the state’s oil and gas regulator, the Texas Railroad Commission (RRC), producers could resort to simply burning away excess gas – something we’ve seen in other oil fields where gas is not the primary production target. This process, also known as flaring, is a recipe for widespread waste and pollution.